Google “data protection” and you get over 200M hits in less than .05 sec. Between products, white papers, articles and market research, more has been written about data protection within the storage industry than perhaps any other use case. 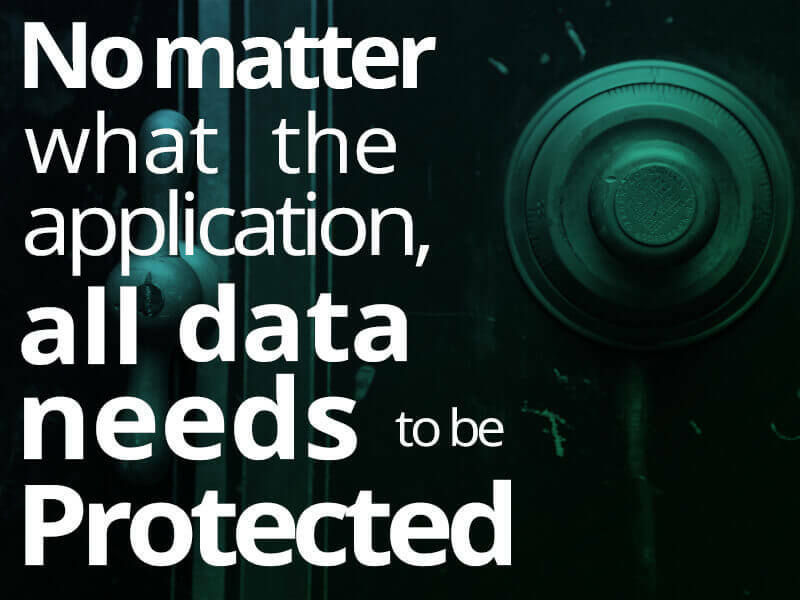 I believe this is because no matter what the application, all data needs to be protected. People need to be able to access their data and the requirements for data availability are getting even more stringent. Today there are more than 100 products (software and hardware) that provide data protection solutions and that number is only growing as the cloud continues to play an even greater role in new storage solutions. This means, that wherever the protected data lives, it needs to be highly available, perform fast, scale and be cost efficient. There are many ways to skin this cat, hence so many products, but each one forces you to compromise something. The question is, how can you get all the feature functions you need, at the right price, without compromise? The growth of data makes it hard to keep up with meeting backup SLAs. Backup windows keep shrinking to the point where we ask ourselves now, “How do you backup a petabyte of data?” The answer is “You don’t!” (Well, the answer, as with most things is never really that simple.) If you tried to protect a petabyte of data taking advantage of the traditional methods used in the past, such as backup software to disk with a common retention of daily incrementals and weekly fulls, it would be extremely difficult to architect, it would cost an exorbitant amount of money, and you still may never meet your backup windows. Nevermind the fact that all of this comes at a time when IT wants to spend less time managing data. So how do you resolve this? One method is by taking advantage of snapshotting. Gartner claims that by “2016, 20% of organizations, up from 12% today, will employ only snapshot and replication techniques, abandoning traditional backup/recovery for the majority of their data; by 2018 50% of organizations will have augmented with additional products or have replaced their current backup application compared to what they employed in 2014.”1 Using snapshots for operational recovery is becoming more and more commonplace. This doesn’t mean that data isn’t ‘backed up’ to tape or disk for longer term retention. However in order to meet the necessary backup and recovery windows, snapshots are becoming more mainstream. Snapshots help to solve the immediate protection issue. But, now that you can focus on longer term data retention, what are the new requirements? Scale? Ease of management? Reliability? Cost? All of the above? The challenge lies in how to make the protected data as available as possible, at the right price (where price includes OpEx as well). Consolidating down to a much smaller footprint does a great deal for backup data. It helps to reduce the management as well as the utilities (power, cooling, footprint). Also, taking advantage of a system that has a better storage density and higher reliability continues to save the business money. This is a simple issue. Today we are finding that all data needs the same level of protection, or more importantly, availability. You never know what data you’re going to need, when you will need it, and for what. 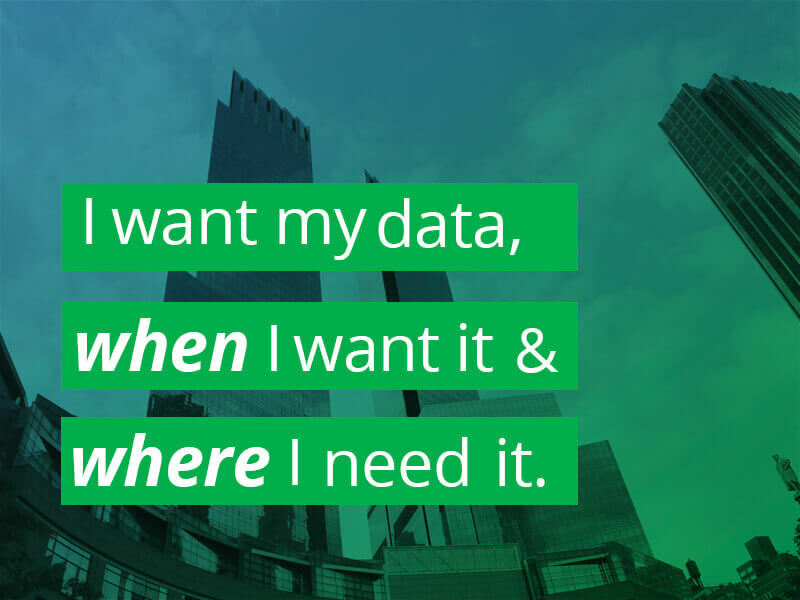 Today, the lifecycle of data isn’t as simple as it used to be. Data doesn’t seem to get ‘stale’ any more, so having the same level of RPO and RTO for all data is becoming more important. One of the major reasons there are so many data protection solutions available is that the dynamics of the datacenter have become more complicated. There are many operating systems, new capabilities such as virtualization and containers, and even more applications. In addition, as new projects are developed by different organizations within the enterprise, they know they want to protect the information, so they reach out to IT who tells them how they protect data today, from a product and as well as process perspective. This leads to adding more licenses of the backup product to protect even more data. The days of 9/11 instilled new data protection schemas for all businesses. It’s no longer just a matter of backing the data up to have a second copy, it’s also about getting that data off site in case of a disaster. This brought about the need for replication products and technologies to get the data off site, while still making it available on disk for quick recovery. Today, with the low cost of the cloud, some companies even replicate data to the cloud to get it off site. We mentioned that Gartner says nearly all operational recoveries will come from snapshots and replicas in the very near future. As you look to purchase new storage, it is important to look at the data protection features that are a part of a given solution. Doing so will help to keep costs low and availability high. A system having snapshots and replication built in will be imperative as businesses move forward. Snapshots and replication help companies to meet even new recovery objectives such as Version Recovery Objectives (VROs – you have many versions when you can take multiple snapshots) as well as Geographic Recovery Objectives (GROs – recover anywhere you replicate to). In addition, a system that can act as a backup to disk target, that has a great deal of scale with high reliability, and great performance will help companies to not only meet their backup and recovery objectives but will also allow them to help consolidate all of the silos of backup data into a more economical footprint and save tremendously on CapEx and OpEx. For more information, check out our paper on how to leverage InfiniBox for data protection.